These East Moreland homeowners have a lovely traditional home, but their living room was anchored by a bland, understated fireplace on a long blank wall. 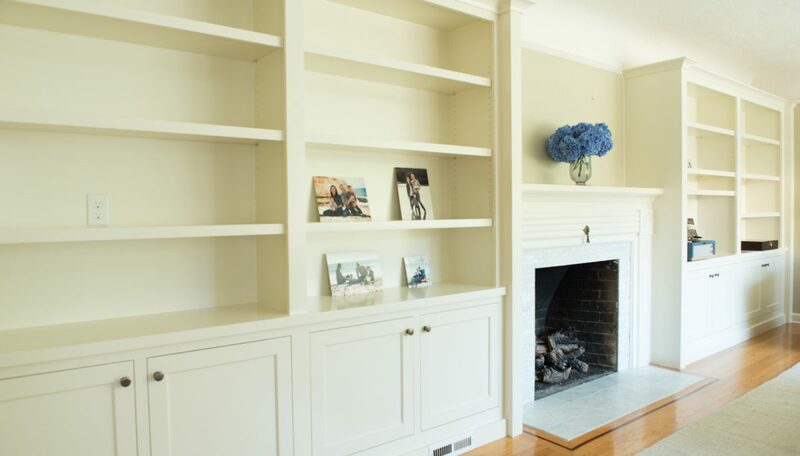 We added custom built-in shelving that runs the length of the room, and updated the fireplace with a new custom mantel. Fresh paint finished off the room. 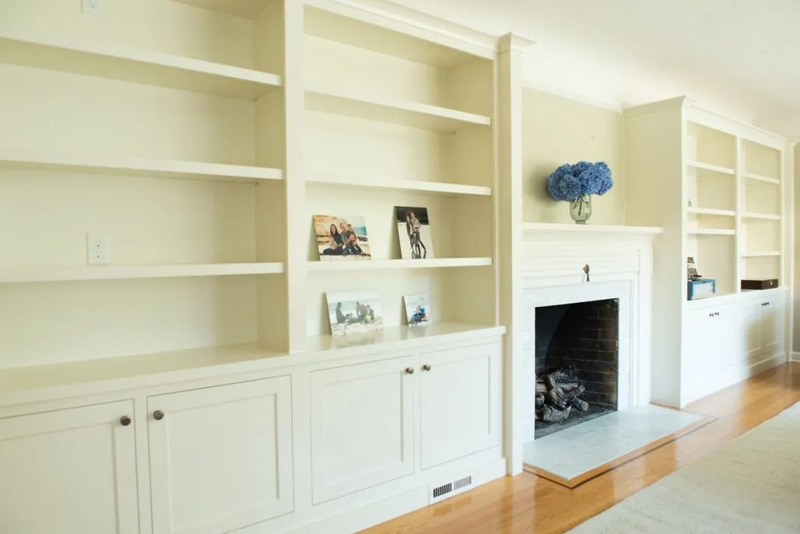 This new wall of built-ins complements the character and style of their home, and adds warmth and character to their living room.